Your 4 year old baby boy wants a huge poster of Ben 10 in his room or your lovely Princess wants her room to look like Barbie’s living room. Here I bring some of the innovative ideas unleashing the creative mind in you and thus making your kids’ room look like 3D Picasso. While designing or renovating your kids’ room, many factors have to be kept in mind like the kind of hues to be used on the wall, bunk beds, wall papers, and various whimsical shapes to add on the extra vive and vigor to the room. With so many toys and clothes, try adding built-inns and shelves to overcome the problem of storage. Safety is the most very important factor while designing your kids’ room, so make the room attractive while keeping all safety measures in mind. 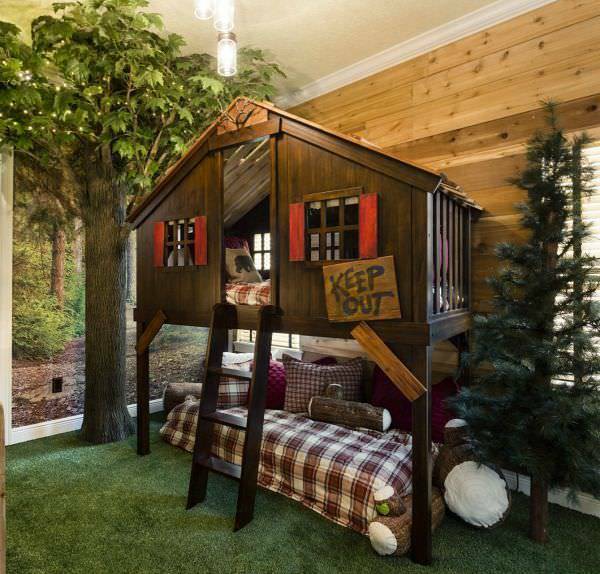 Below given are some of the trending kid room designs for you to choose and start the fun. 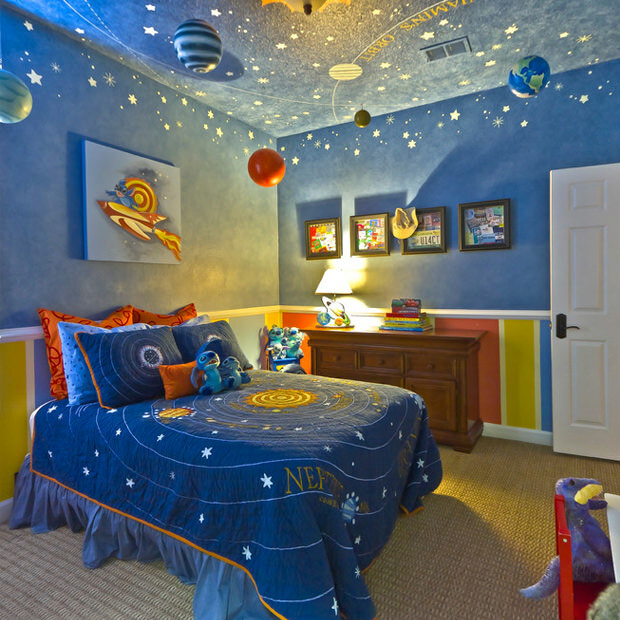 Your kid will be enchanted by this exhilarating celestial bedroom with radium stickers of planets, comets and other universal objects. This kind of theme is perfect for the future aspiring to be astronaut. Bed time was never so fun! The tree house theme looks adventurous and makes your kid eager to climb up a ladder to his/her bed situated little above the ground. Pamper your princess and indulge her in the world of comfort in this kind of glamorous rooms and luxurious beds. Girls adore pink which is the color of feminism; the color combined with some floral designed furniture and a carriage shaped bed and other fantasy décor will definitely help her grow up as a pageant princess. The picture below includes a tint of French style furniture and delicate pink frills making the room look like a castle. 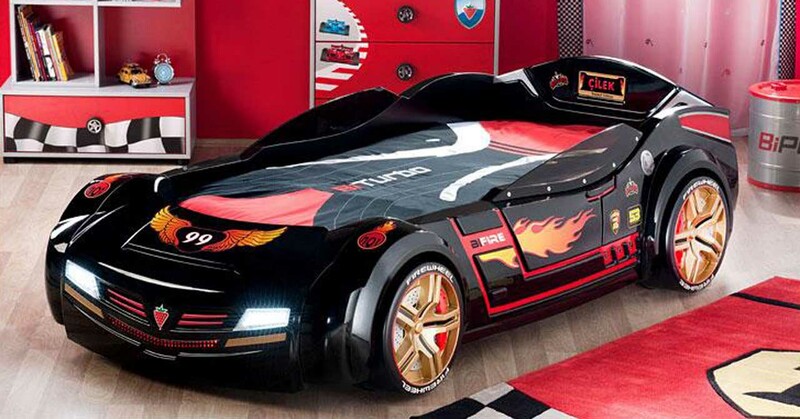 Who says boys’ bedroom cannot be stylish? Your little kid’s super hero dreams will come true with these creative themes. You can select from a wide array of themes like racetrack, spider man, adventurous forest themes with bright zingy colors.